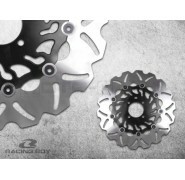 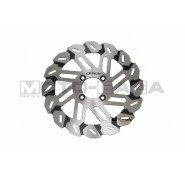 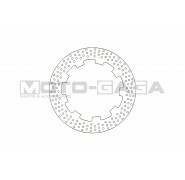 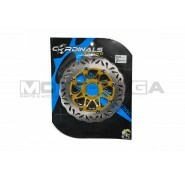 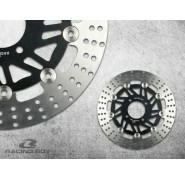 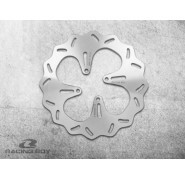 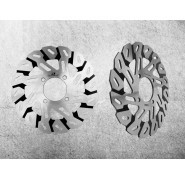 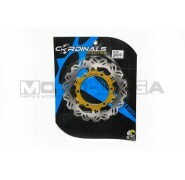 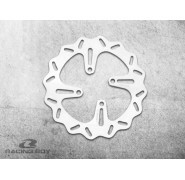 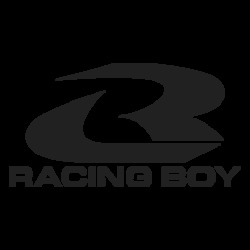 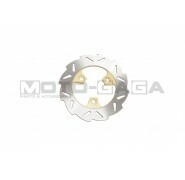 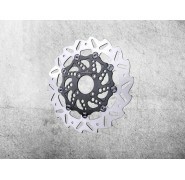 If you are looking to upgrade your motorcycles braking system, here is an extra-large 300mm 2-piece, stainless steel, wavy floating petal type brake disc rotor by Racing Boy. 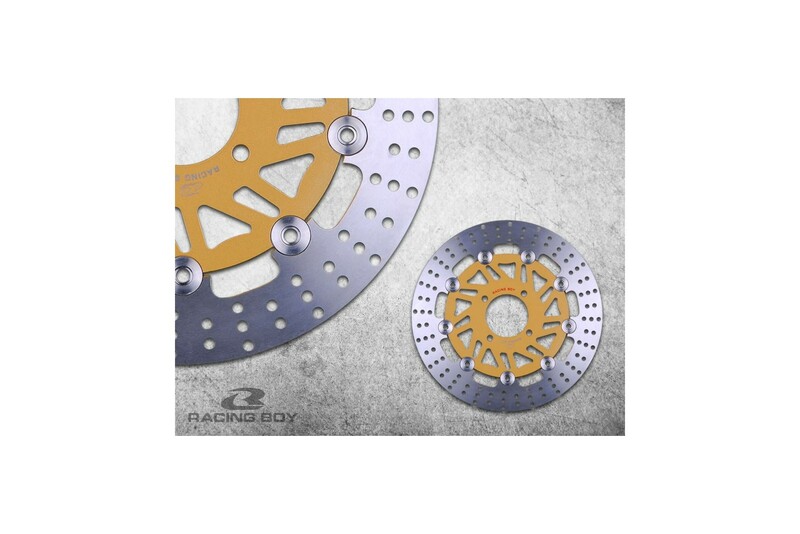 With it's large diameter, braking performance will be improved, along with noticeably reduced brake fade from the drilled disc surface. 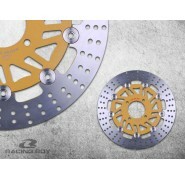 Abuse your brakes all you want from now on! 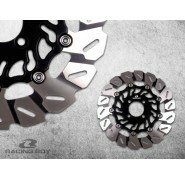 All while adding style to your ride at the same time. 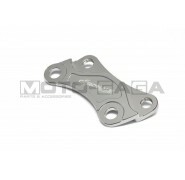 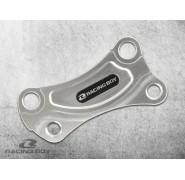 Caliper adaptor brackets for Original and Racing boy brake calipers are available separately.